Edward G. Kuster was a musician and lawyer from Los Angeles . 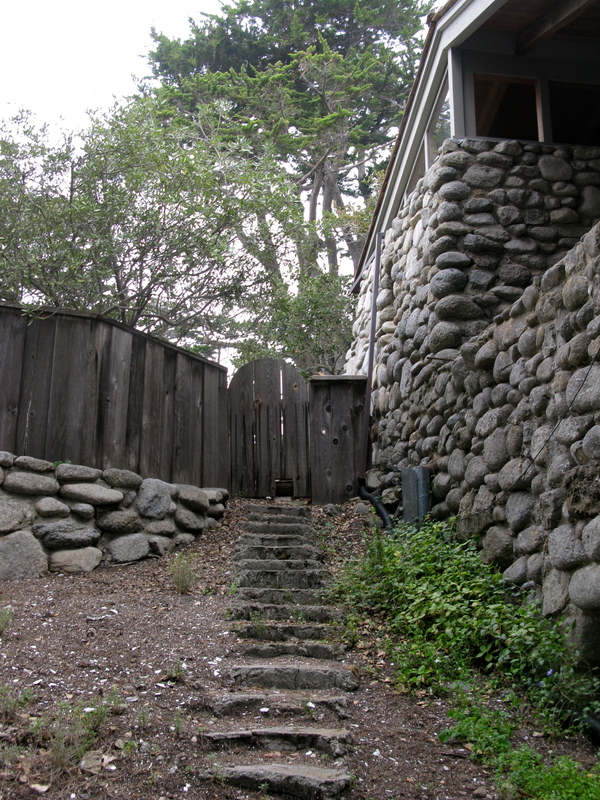 When his first wife, Una Call Kuster, divorced him to marry the poet Robinson Jeffers, he remarried and eventually relocated to Carmel to establish his theater, The Golden Bough . 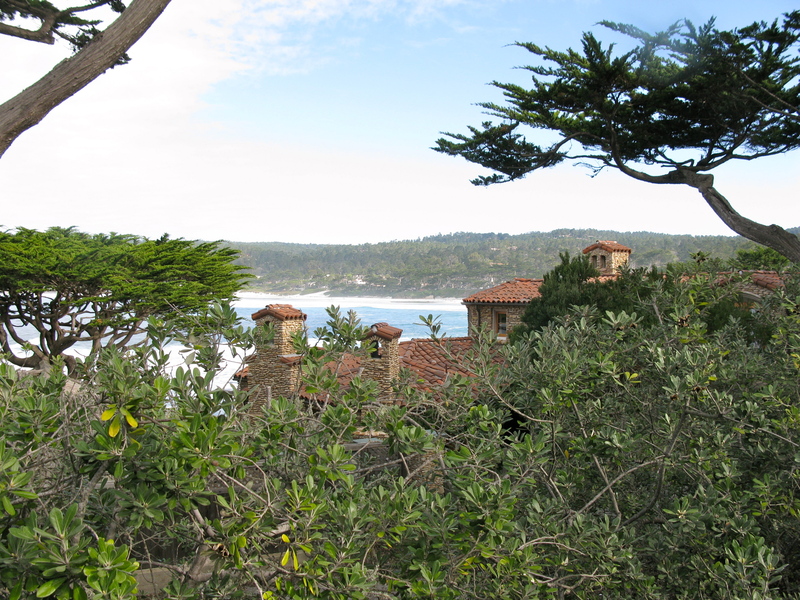 He and his second wife, Edith June Emmons, would eventually settle in Carmel near Una and Robin. 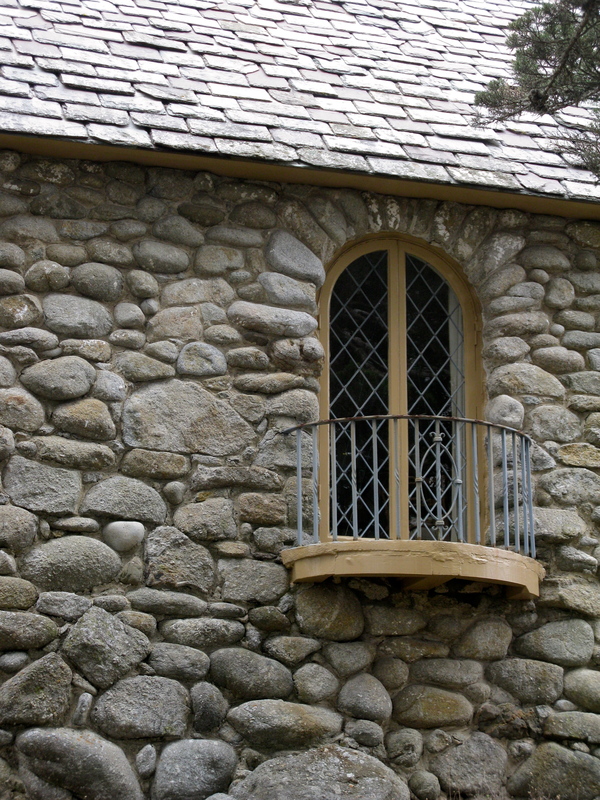 With the help of builder Lee Gottfried and the inspiration of castles he had known in Germany as a child, Kuster built his small, turreted castle in 1920. 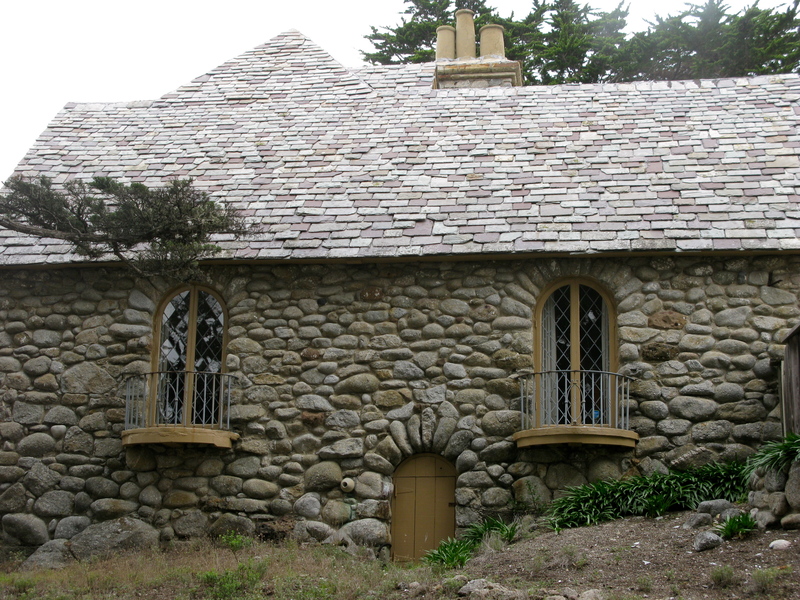 Like Tor House( the Jeffers home), it was made of granite stones brought up from the beach below. The roof is Vermont slate. 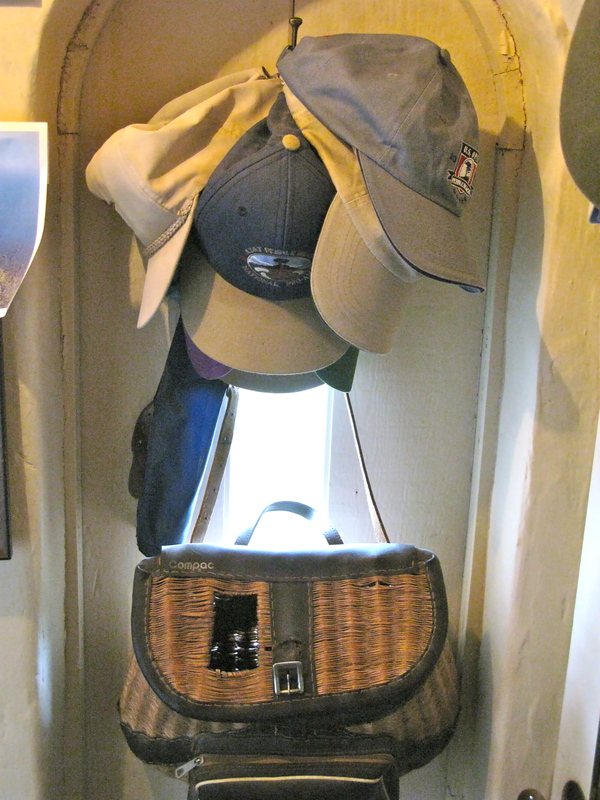 It is located so close to the Jeffers home that the townspeople were shocked. In fact the two couples became great friends and Una would go over to the Kuster House to do her laundry since Tor House had no electricity. Flash forward to 1955 when Dr.L. Bruce Meyer, an othopedist, and Margery,his young wife,buy the house from Kuster. They are seeking just the right home to raise their two small children- a boy and a girl. When I meet their daughter Marguerite, it is over the internet. She is helping a college friend design a website for his mother’s Carmel store, Whittakers. She finds some photos I have taken that she can use in her work. I am delighted and as a “thank you” she invites me up to see her childhood home. There could be no better thanks for me. I arrive early as I usually do, park the car and walk past the garage. 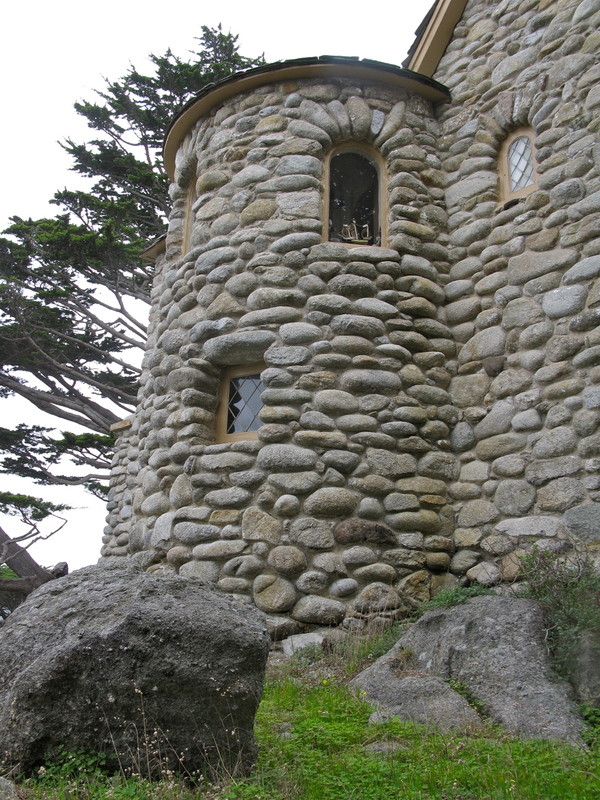 I have toured Tor House with my daughter this week and notice how similar the stone work is in both structures. I walk through the partly ajar gate. 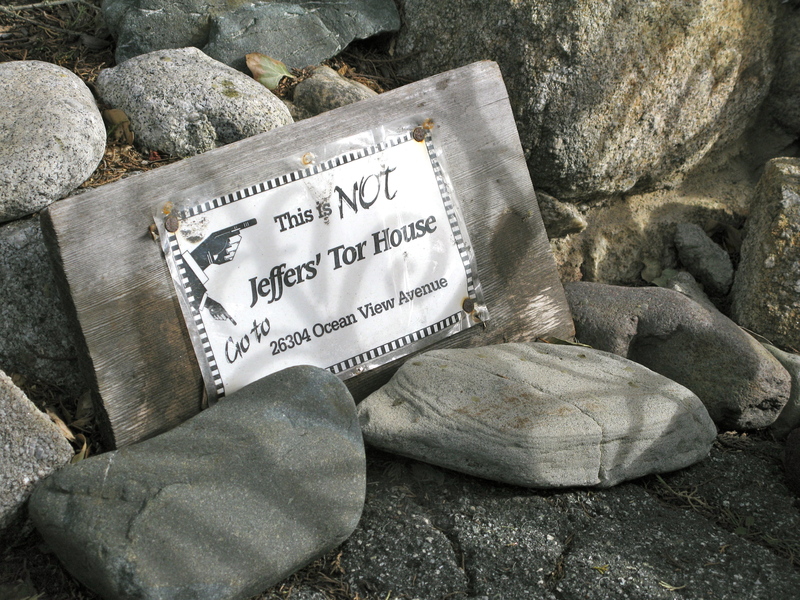 Just inside, a sign informs me that this is not Jeffers’ Tor House. The house is so handsome . 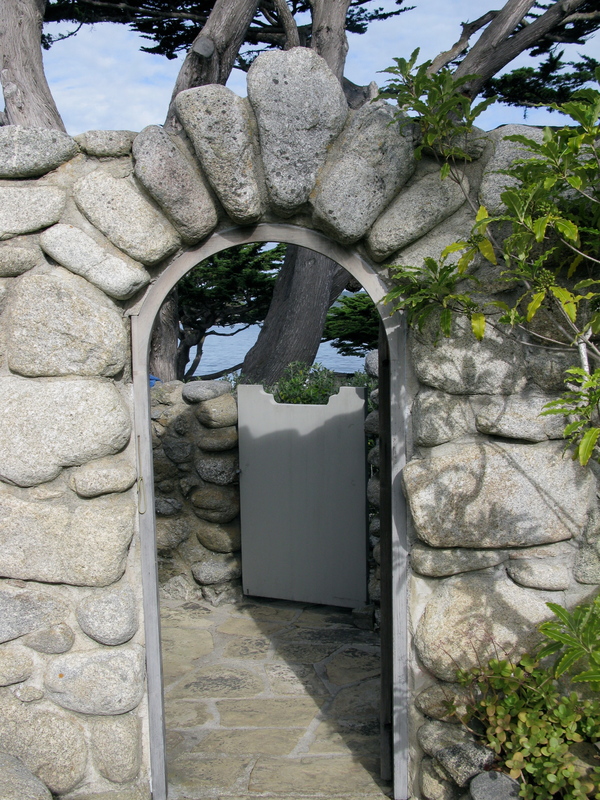 and wander through the arch to this gate. I have not seen a better view. 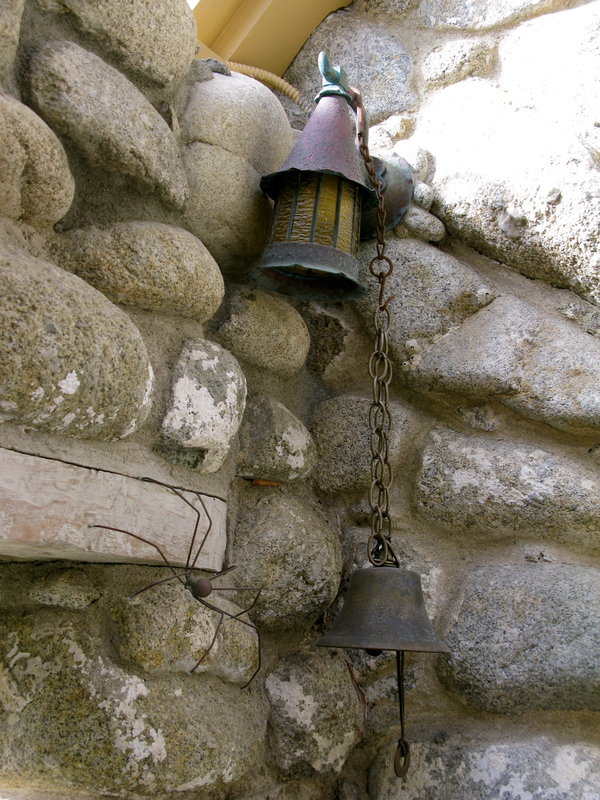 and ring the bell to no avail. 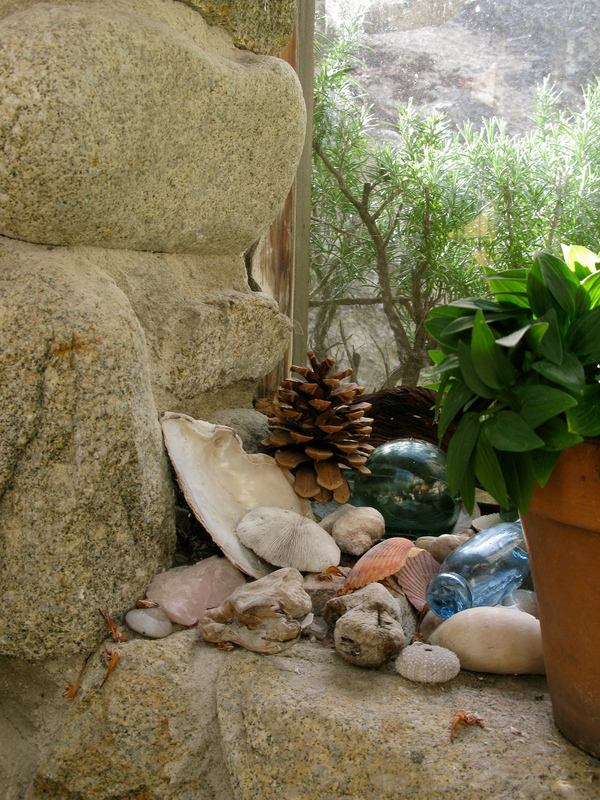 I admire the gifts from the sea deposited on the window sill. 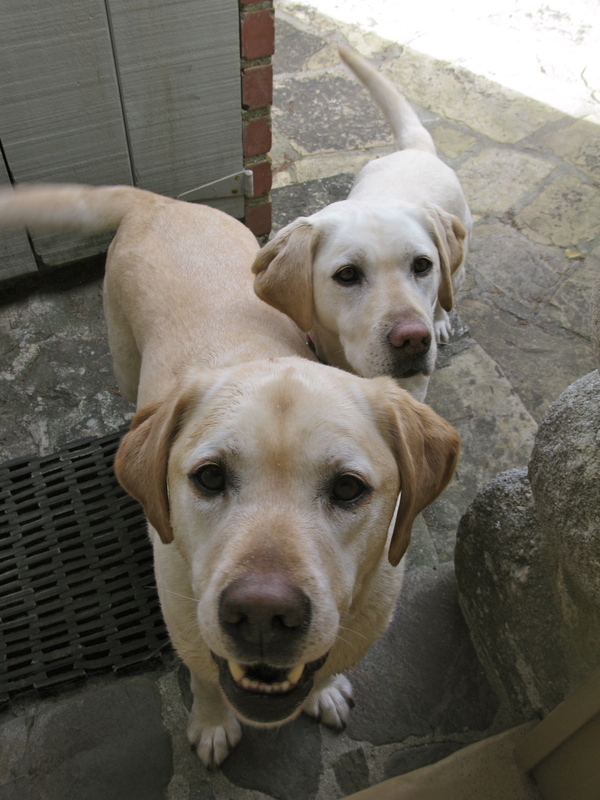 Marguerite comes in the gate with two golden labs who were reluctant to leave the beach. They are brother and sister. 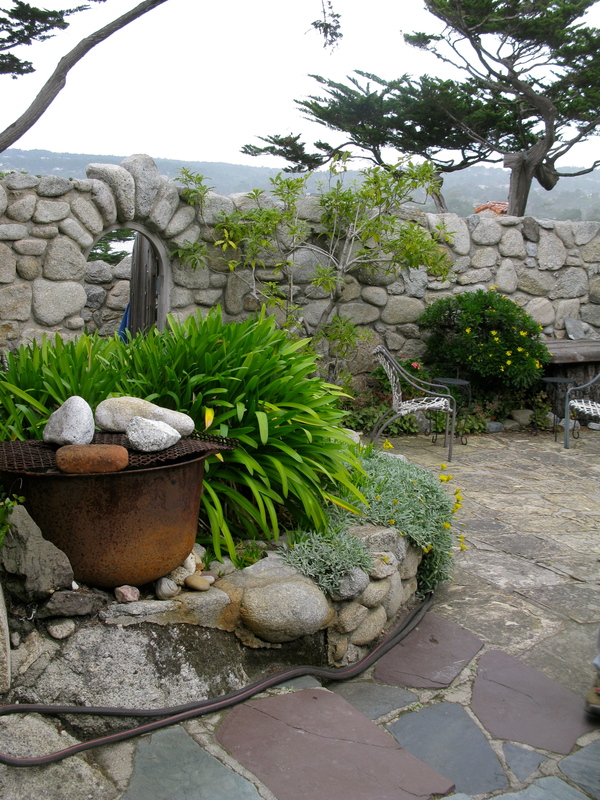 June Bug lives with her and Mango lives here in Carmel with his Dad. Marguerite is fit and athletic, a Masters Swimmer who introduced her mother to the sport in 1987. So at the age of 64 Margery begin to train harder under the tutelage of her daughter. From that time on they both competed . 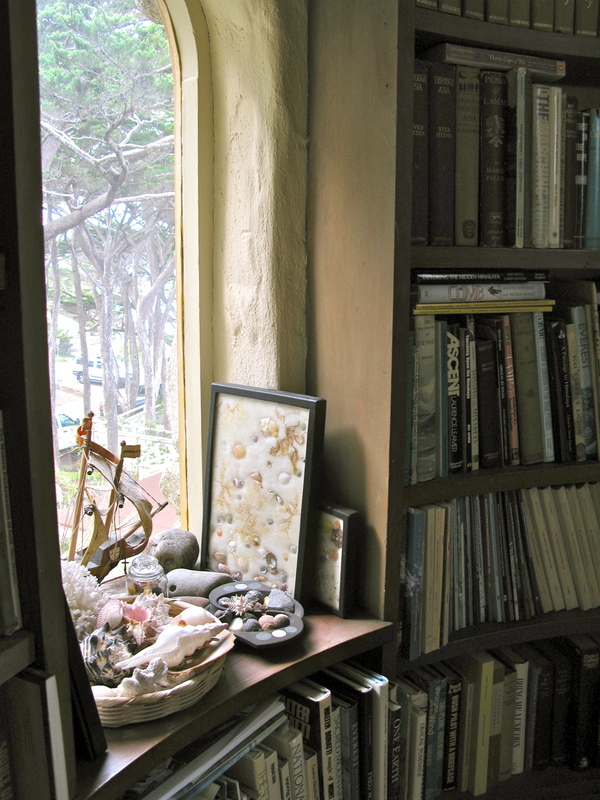 It is filled with books and family mementos. 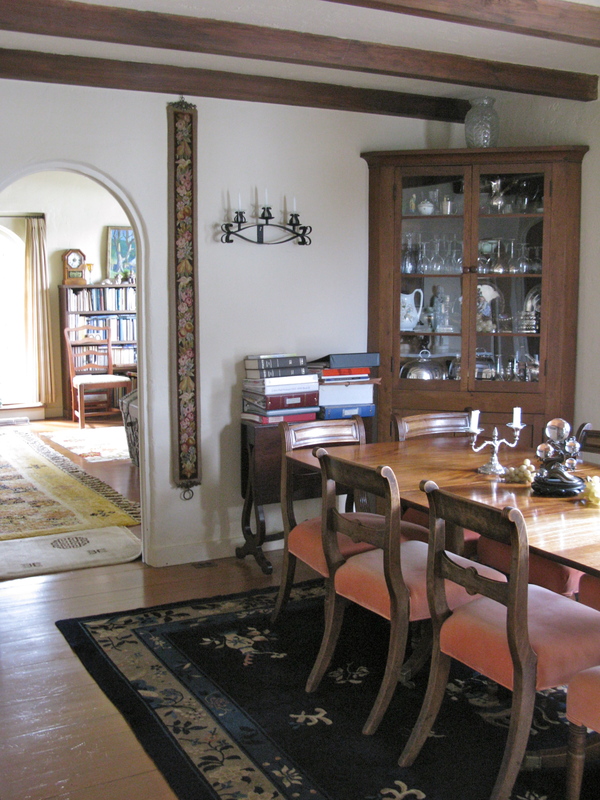 The current dining room was once the master bedroom of the home. 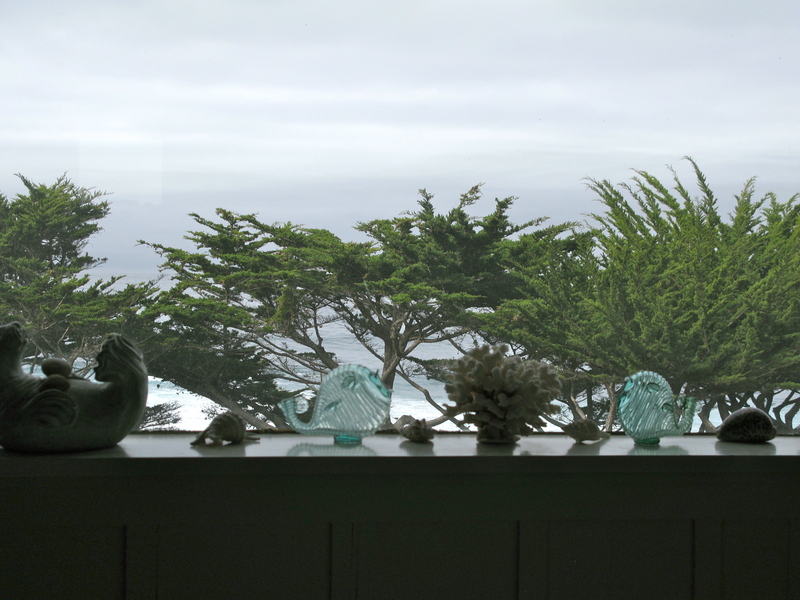 Dr. And Mrs. Meyer moved to an upstairs bedroom for the wonderful view. 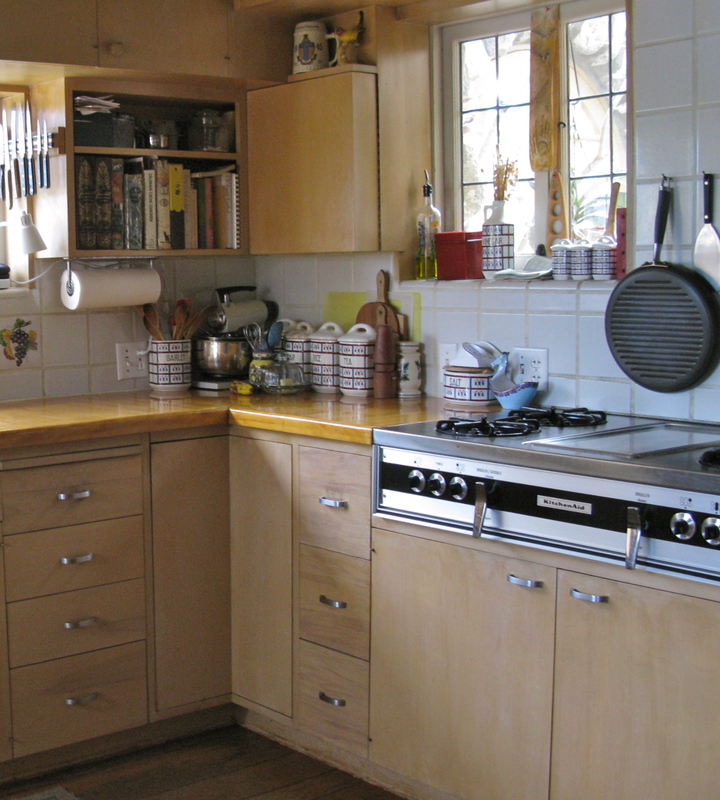 The kitchen is large and used often. 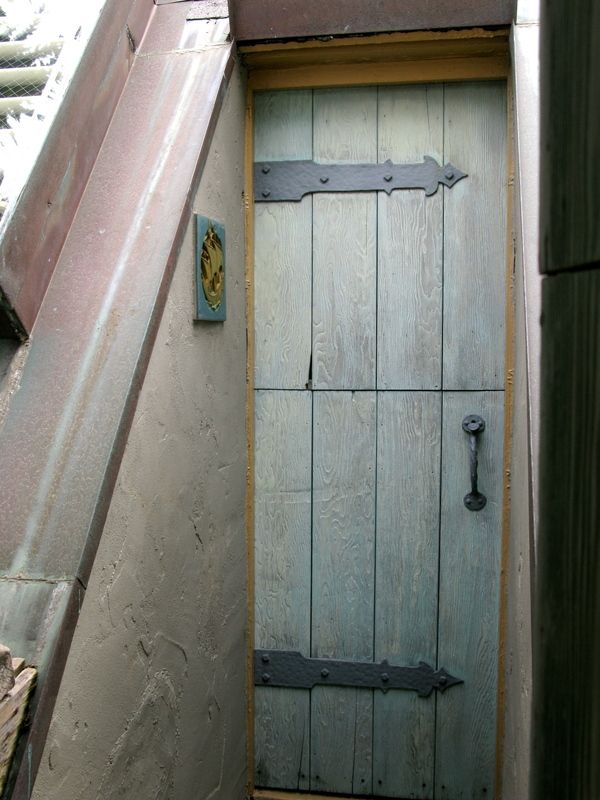 As we look out its dutch door we see the view. Marguerite shows me the box where the milkman left the fresh milk every day- the chocolate milk being her favorite. 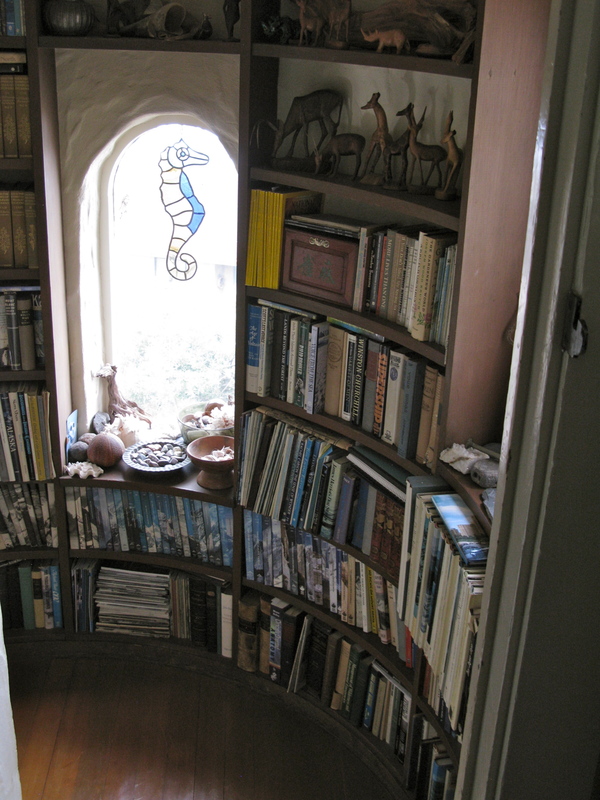 We retrace our steps through the living room and start up the curving staircase that leads through book-lined library/ turret before arriving at the second floor. 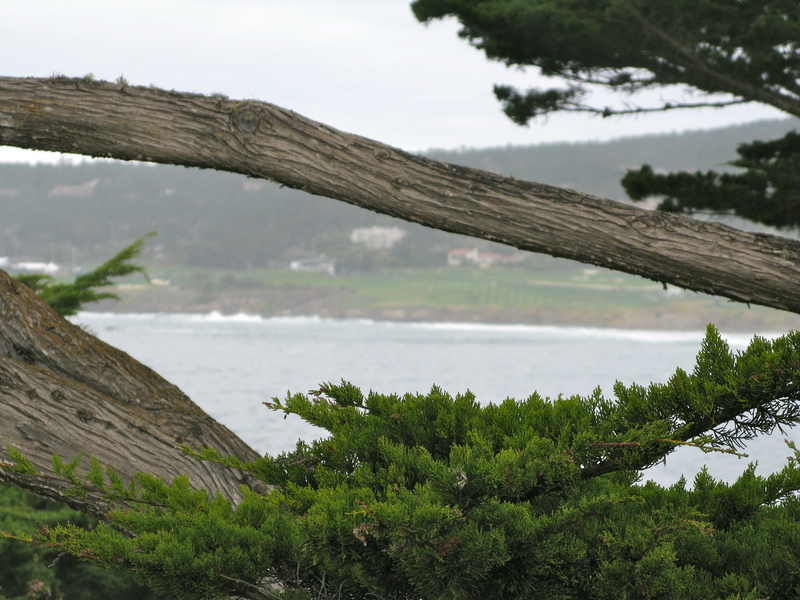 From here, Dr. Meyer has a magnificent view of Pebble Beach. He is there now attending an event of the Pro-Am Golf Tournament. As the family grew older, Marguerite got her own bedroom over the kitchen. It can be reached from the kitchen by narrow twisting stairs or by crossing the upstairs passage from the parents’ bedroom (referred to by the children as “the moat”). 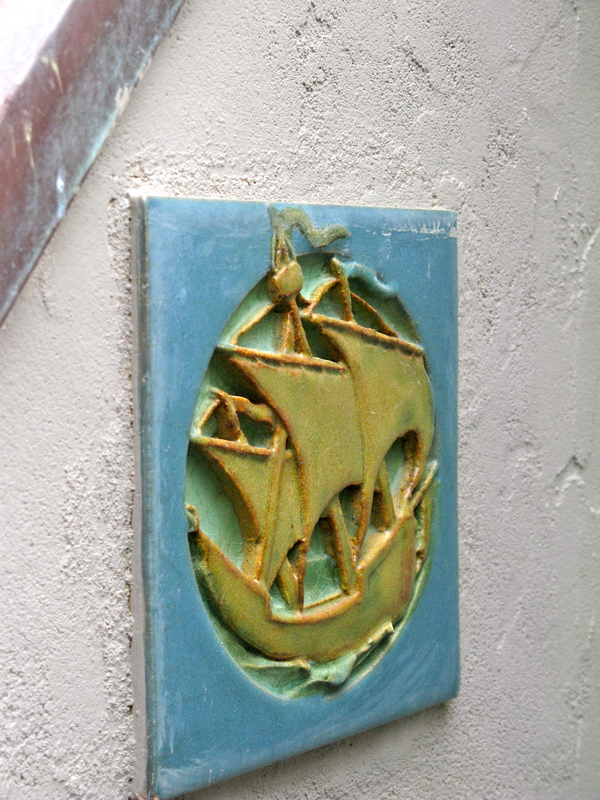 I love the tile of the ship on the exterior wall. This is the view Marguerite has from her desk. 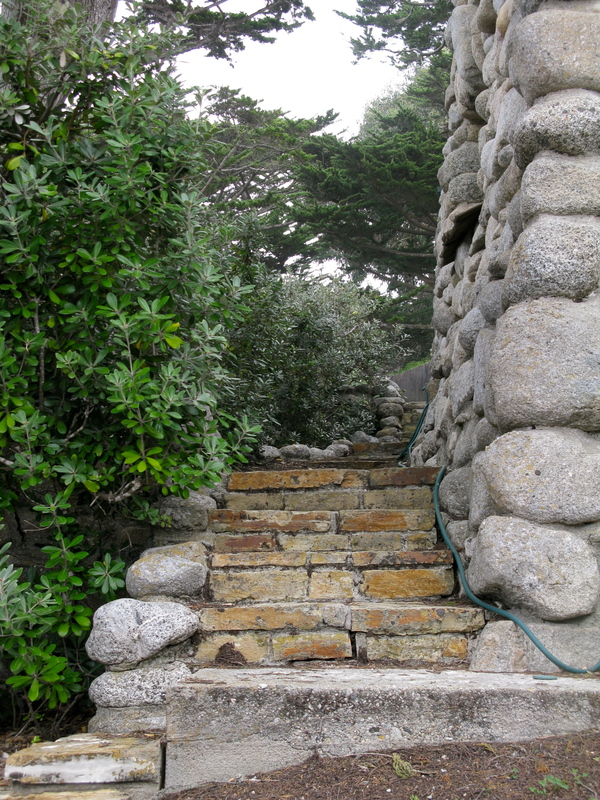 As we go down the stairs to the kitchen, I remark on how delightful all the twists and turns are. Marguerite remembers other guests making similar comments to which her mother would respond “it’s full of charm and inconvenience”. Down yet another flight of stairs leading to what the kids called “the dungeon”- now Dr. Meyer’s office. He was also a mountain climber of exceptional skill and at the age of 70 climbed the Grand Teton in Wyoming ,belayed by Marguerite. Meanwhile, Margery celebrated her 70th by completing a swim with Marguerite from Alcatraz to San Francisco in 48 minutes. Whew. We have circled the interior and go outside to the front courtyard to begin our outside tour. 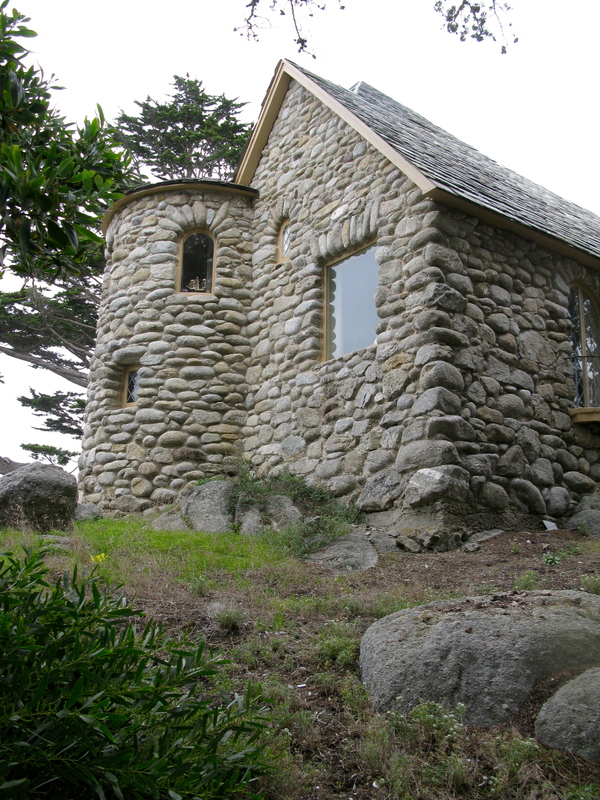 As with Tor House, the tor- or rocky peak, that the house was built around still stands. 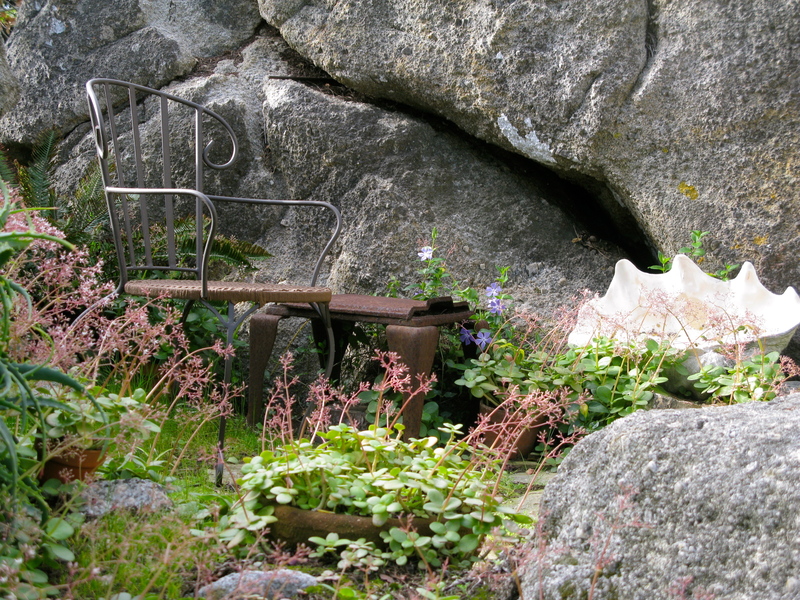 A small garden at its base provides a warm place to sit. to the east facing side of the house. This is the part that is visible from the street beneath. The leaded living room doors open on small balconies. 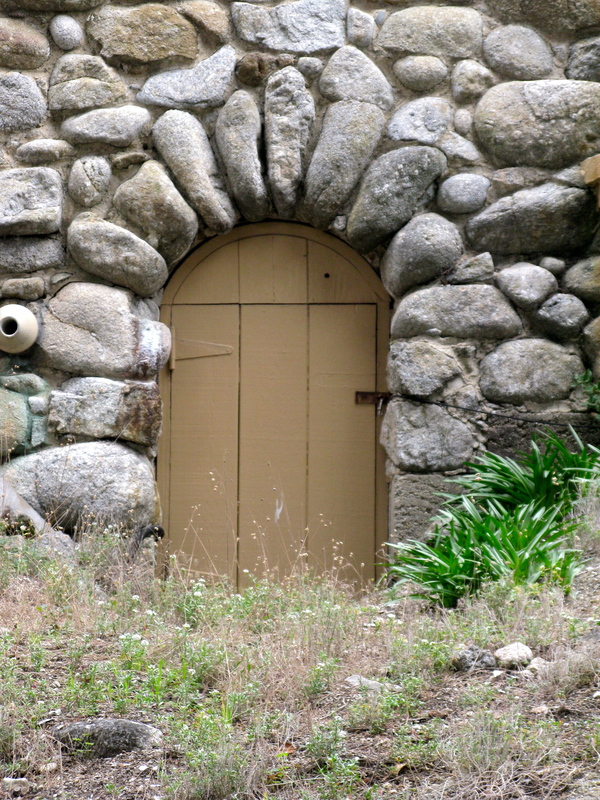 The door I assumed was the front door is really the door to the crawl space where family members often found themselves coaxing the furnace to work yet again. Around to the south , I get a good view of the tower. 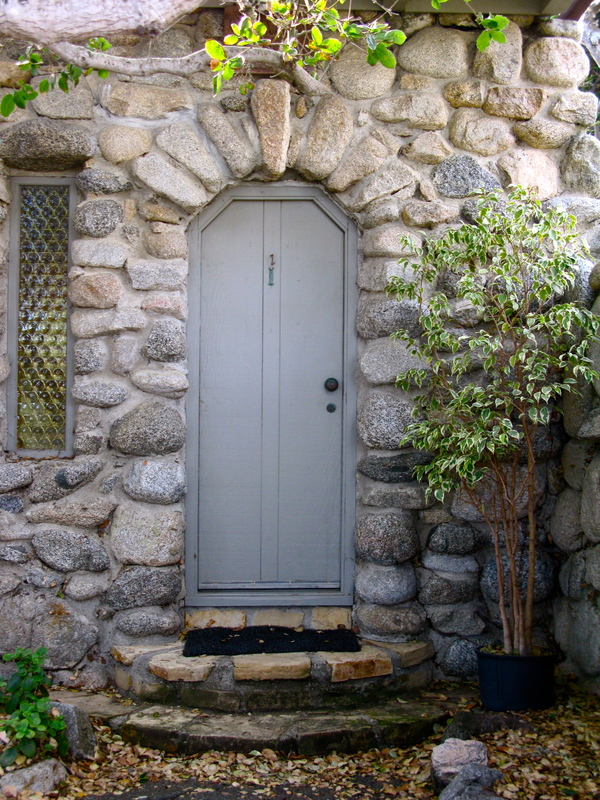 Kuster and his architect,Lee Gottfried, were influenced by their love of medieval European architecture when they designed this Norman style keep. and are once more at the front of the house. 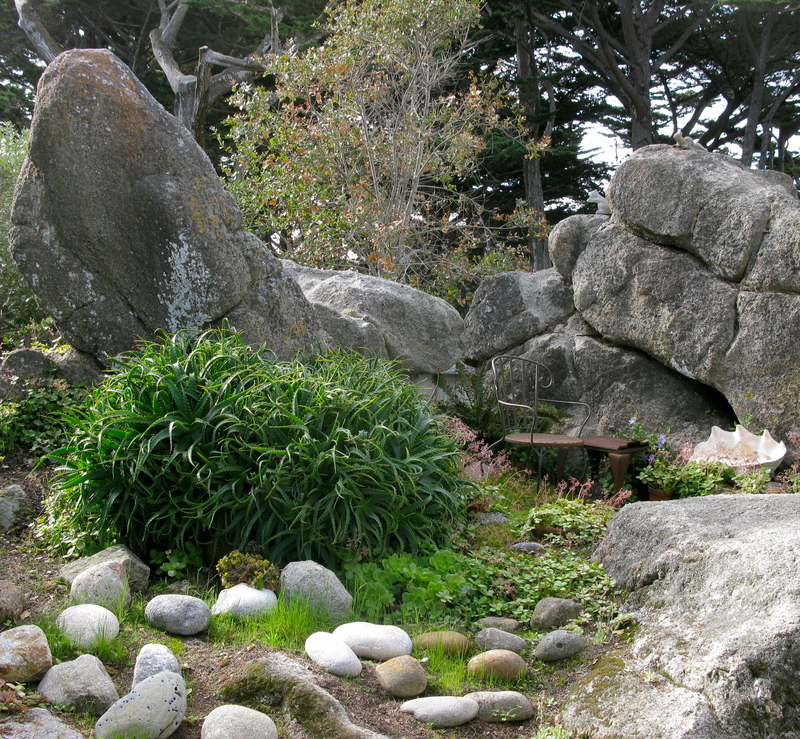 As I admire the Cypress trees, Marguerite reminds me that this is what is left of the maze of eucalyptus and Monterey cypress planted by Jeffers. When she and her brother were small, they played with Jeffers’ grandchildren. They could reach each other’s homes by crawling along from branch to branch, so thick was the grove of trees. It is deeply satisfying to me to think that these children with such golden memories of childhood times together, still know one another and are stewards of their parent’s homes. Kuster’s children have even come back to visit and were delighted to find it much the same as when they grew up there. 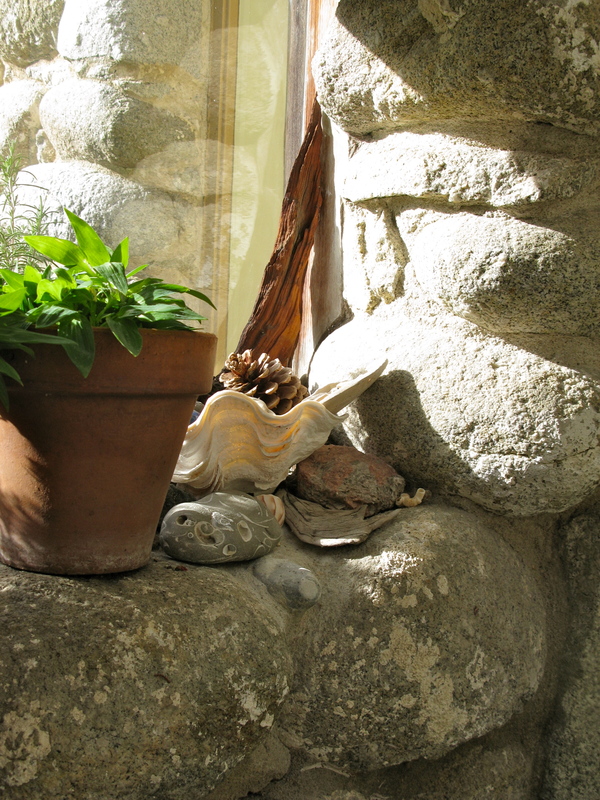 Thanks for sharing the house, the history and the stories with me, Marguerite. Just delightful. Gosh, you’re so lucky! 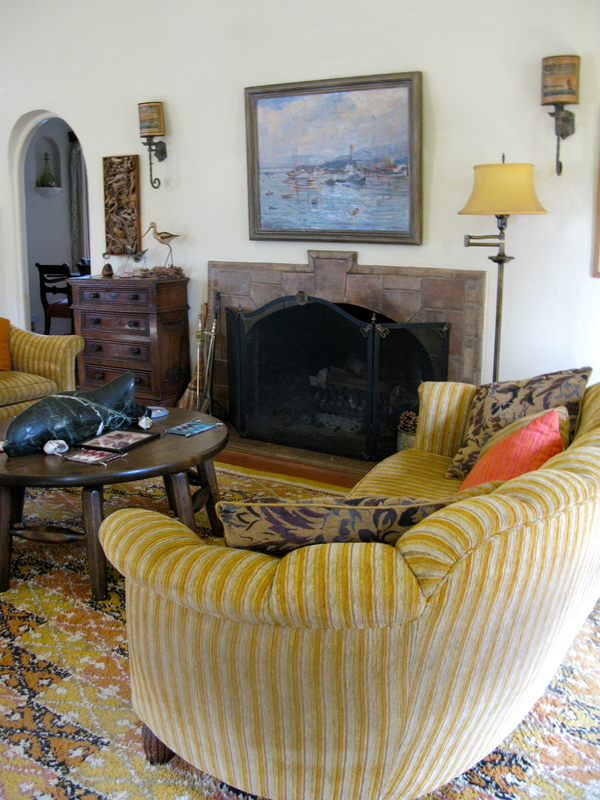 I imagine all these special invitations to you to tour private homes like this must feel a bit like Christmas morning when you were a kid – each room is a wonderful present you’ve been given with a lovely surprise in every one. Thanks for giving the rest of us the opportunity to vicarious experience the generosity of your hosts who’ve opened their homes to you & your camera. And thanks so much to Marguerite, especially! 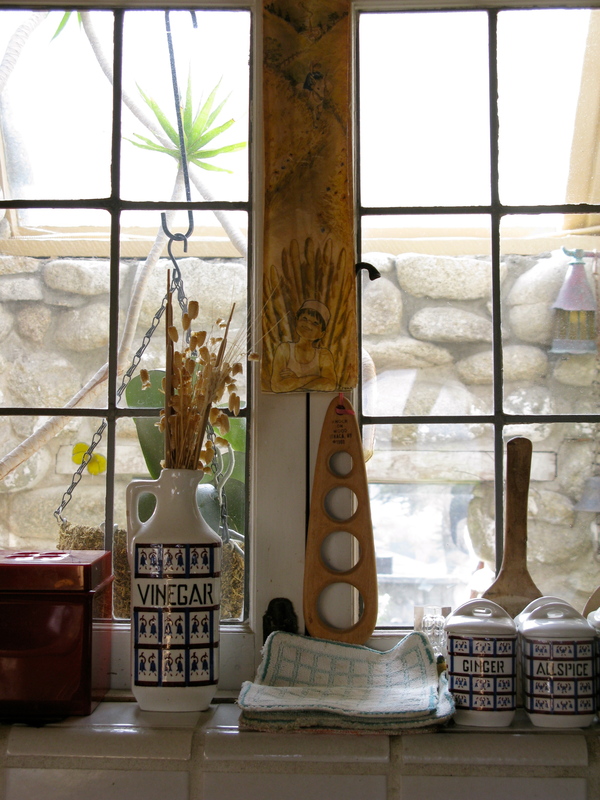 Another wonderful peek inside a home that would make me wonder and imagine if I strolled past. 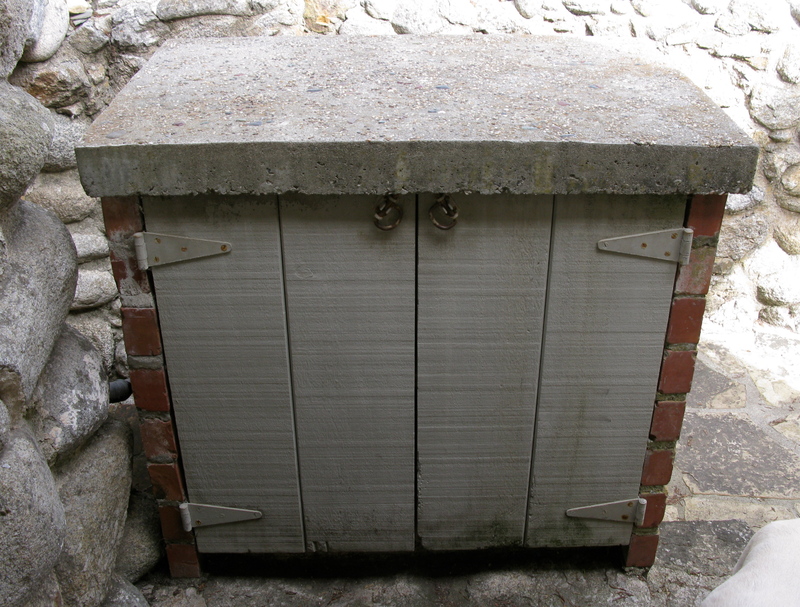 Thanks to Marguerite for letting us take a look, and to you Linda, for your photos and commentary. I love how you present your material in a way that makes us feel as if we were exploring right along side of you. I can’t improve on what’s already been said, so I’ll just add my thanks for another enchanting tour, and wait breathlessly for the next exquisite post. What a treat to see the inside of this home I walk by all the time!! Thank you, Linda for another enchanting tour. 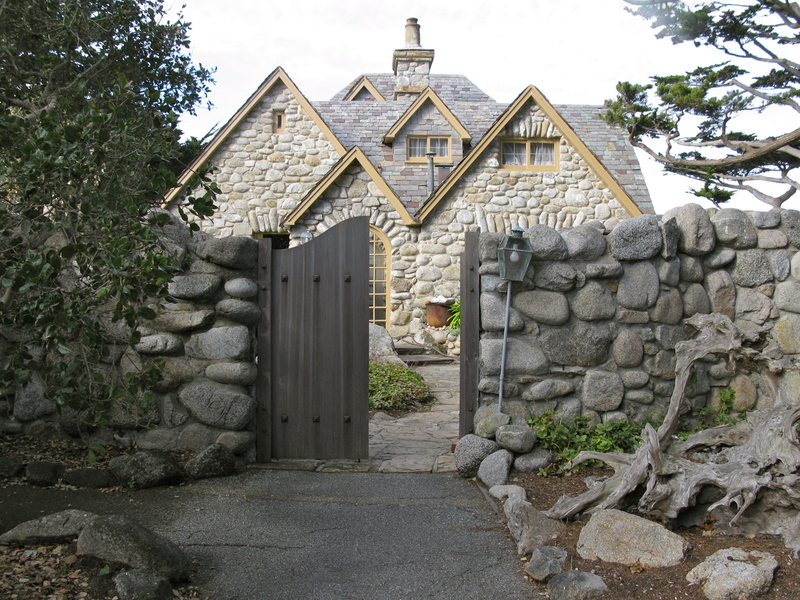 I knew the story of the relationship between Tor House and the Kuster House and that Una was the first wife of Edward Kuster…orignally had been told that there was a great resentment and rivalry between the two families after Una became Mrs. Jeffers…so glad to to hear they all remained friends. 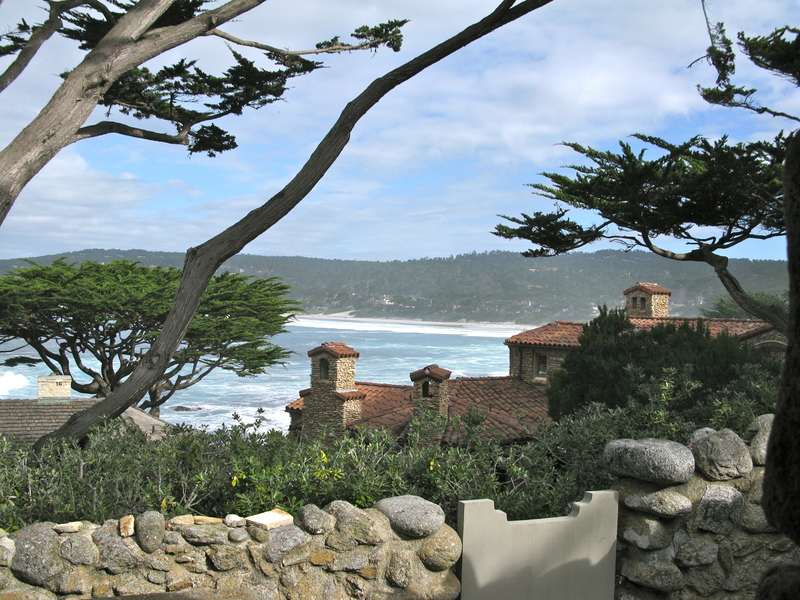 Another Fairytale from Carmel! 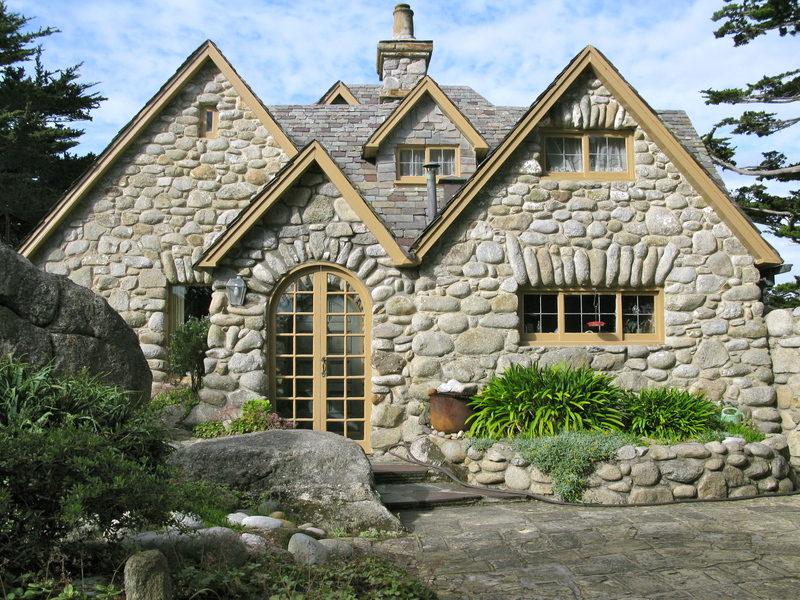 Wonderful history, wonderful granite home, beautiful view. Thank you for sharing with us. What a lovely home in which to grow up. What an amazing home ! 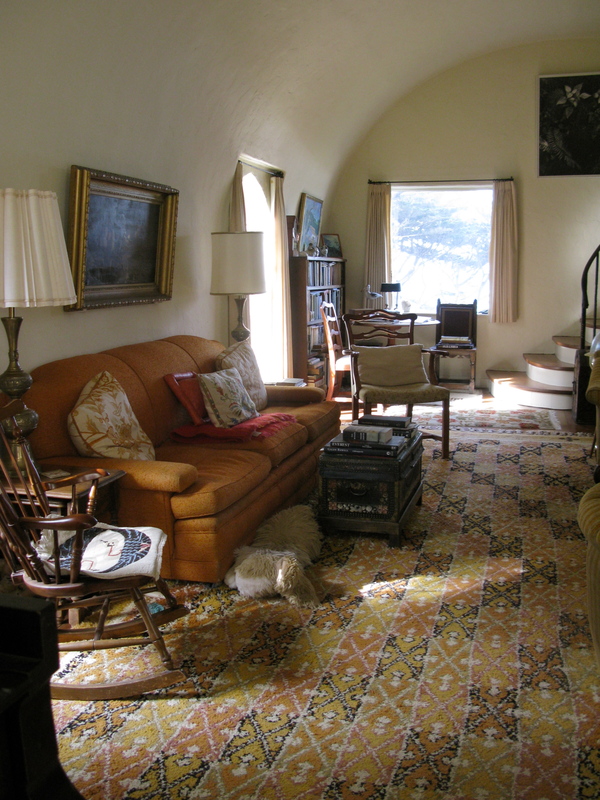 I have never seen an interior with so many curves, arches and curved ceilings. 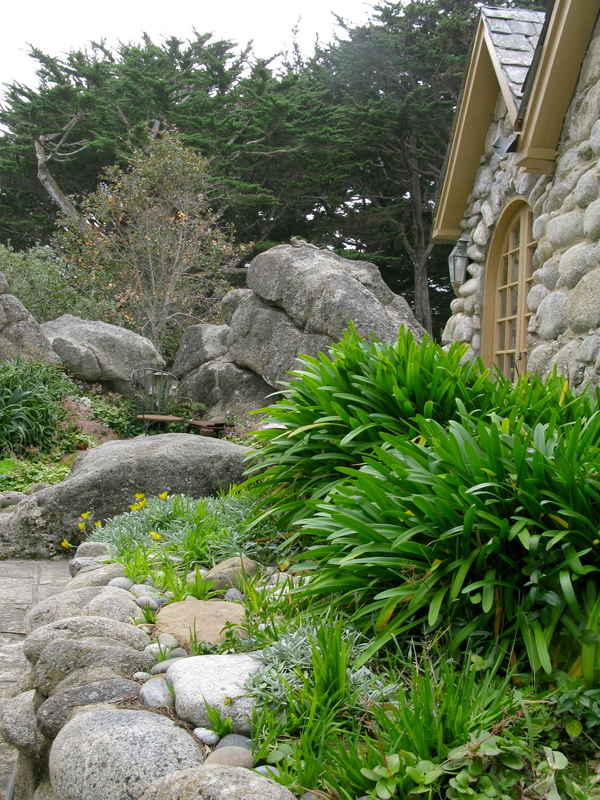 I love all the rocks in the yard and around the home and they have such a view on the beach, it’s fantastic ! And the surrounding of the house is beautiful with all the trees. Hi! I am very interested in the story about Una doing her laundry at the Kuster House. Can you tell me if it is documented anywhere? 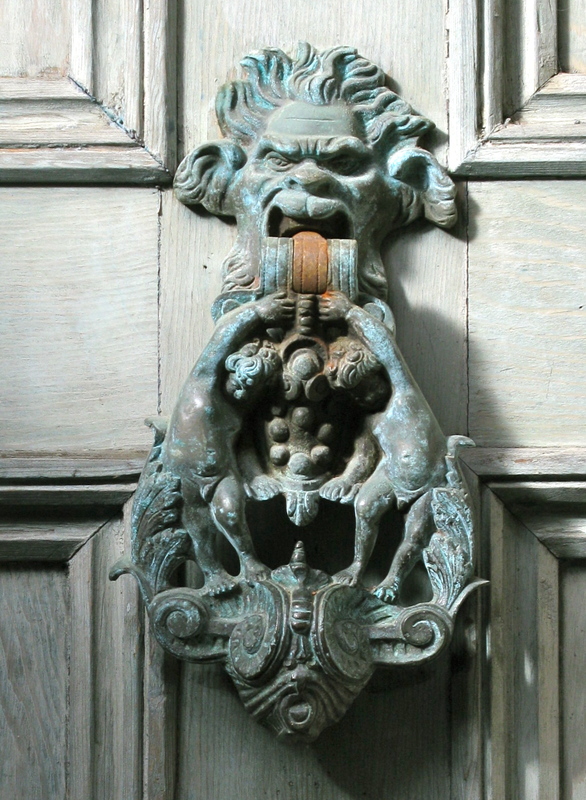 I am a Tor House tour guide and I’ve used the story on tours, and I would love to be able to source it! 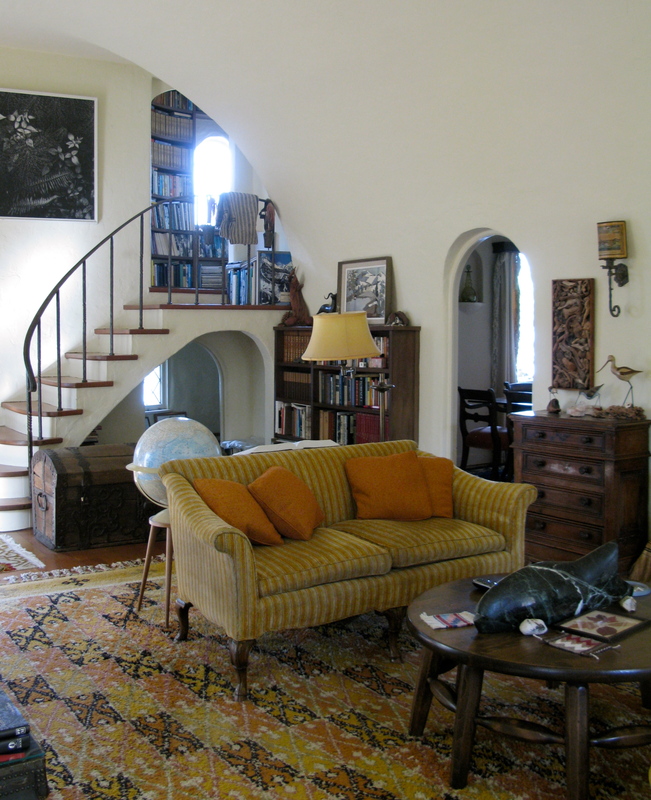 The current owner of the Kuster-Meyer house gave me a tour and told this story.